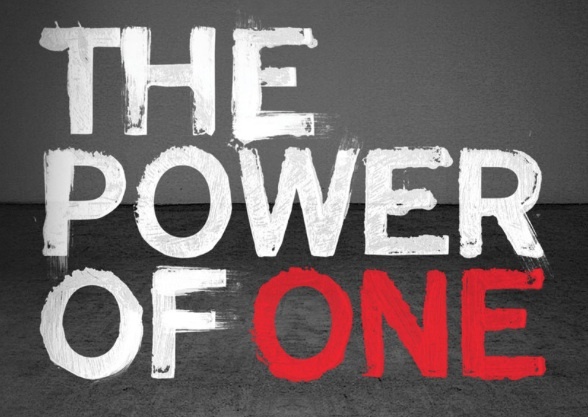 As we begin a New Year, let us remember ‘the power of one’ – that one man or woman can make a difference for the extension of the kingdom of God in this world. The tragedy is that many people don’t realize ‘the power of one’ and often feel that they are insignificant and that their lives are worthless. Years ago, I came across a story of how reaching one person touched a nation and beyond. “David and Svea Flood, a young Swedish missionary couple, were on fire for God when they arrived in Africa in 1921. They were determined that they would do pioneer work among unreached people, but the Africans were hostile and the climate was deadly. Soon after the birth of their second child, Svea died. The pain was too much for David. Doubts consumed him. Why had God let them down when they had sacrificed everything for Him? Had God forgotten them? Were they on a fool’s errand? For all the work they had only one convert, and he was a child. David was in this mindset when he left Africa with his young son, leaving behind his baby girl who was too weak to travel. A missionary couple took her in, and when they subsequently died, she was passed onto another missionary couple, who later raised her in America. In the meantime, David, who was living in Sweden, turned his back on the church and his thoughts were far from the spiritual realm. After his second marriage dissolved, he began living with a mistress. He thought little about the daughter whom he had not seen since infancy. His daughter Aggie, however, thought about him often. She had learned about the work he and her mother had begun in Africa, and she wanted to talk about it with him. After high school and further study at North Central Bible College, she married Dewey Hurst and together they served in various ministries with the Assemblies of God. But she longed to visit her father and her homeland of Sweden. Finally, she was able to make the trip to Stockholm, where she found her seventy three year old bed ridden father in a run down apartment with liquor bottles lining the window sills. She took him in her arms and told him she loved him and that God had taken care of her through the years. Indeed, God had done far more than that. There in his grimy bed with tobacco juice running down his unshaven face, her father heard for the first time that the little boy who had been converted through his and Svea’s ministry had won his village of 600 people to Christ, and had gone on to be a great leader in the church. A new year lies ahead of us. God has given us an opportunity to impact the world around us. Each one of us can make a difference if we remember ‘the power of one.’ So let God’s Holy Spirit empower us this year to live just like Jesus did.